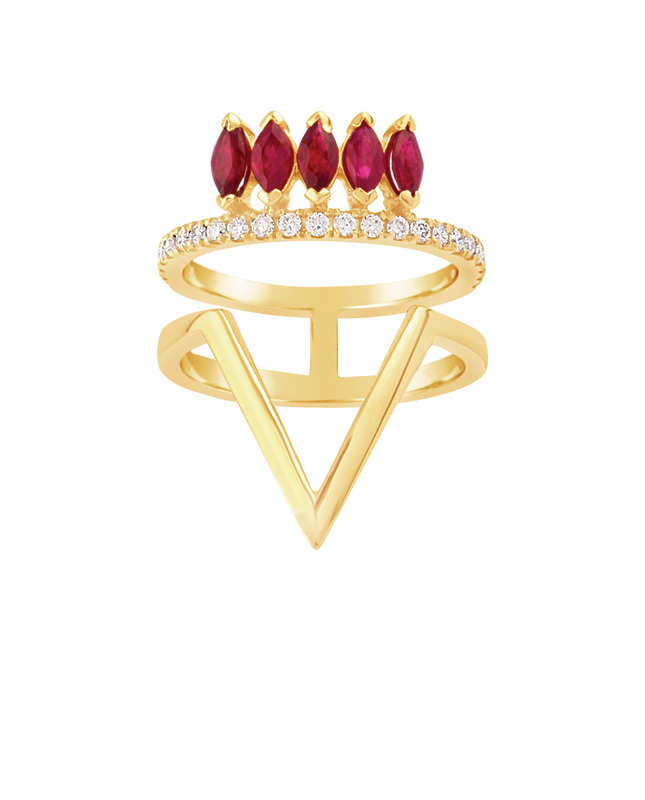 Spiritual and carnal, refined and elaborate, the Ceremony ring is made of 18-carat gold. 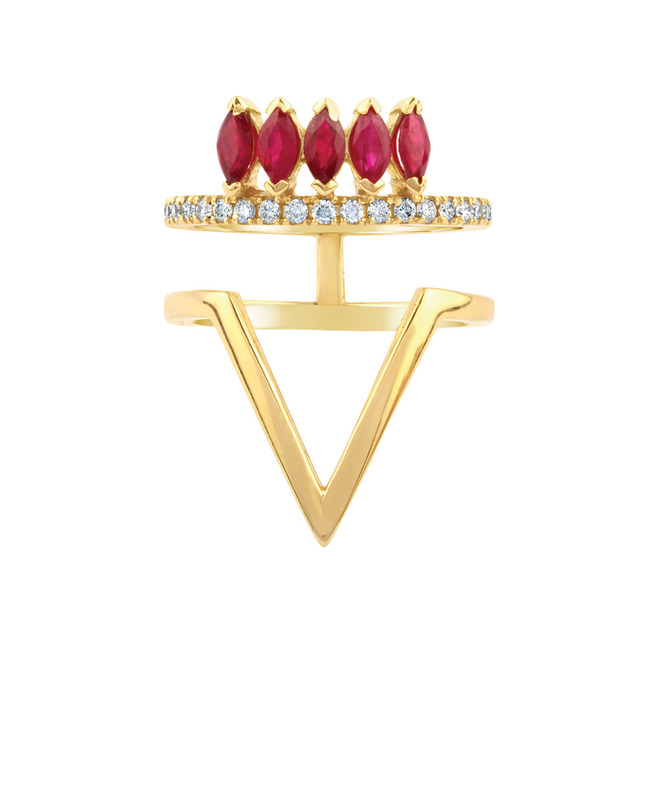 The flames of five marquise-cut rubies rekindle a brilliant-cut diamond pave ring, while a minimalist golden triangle calms the atmosphere. 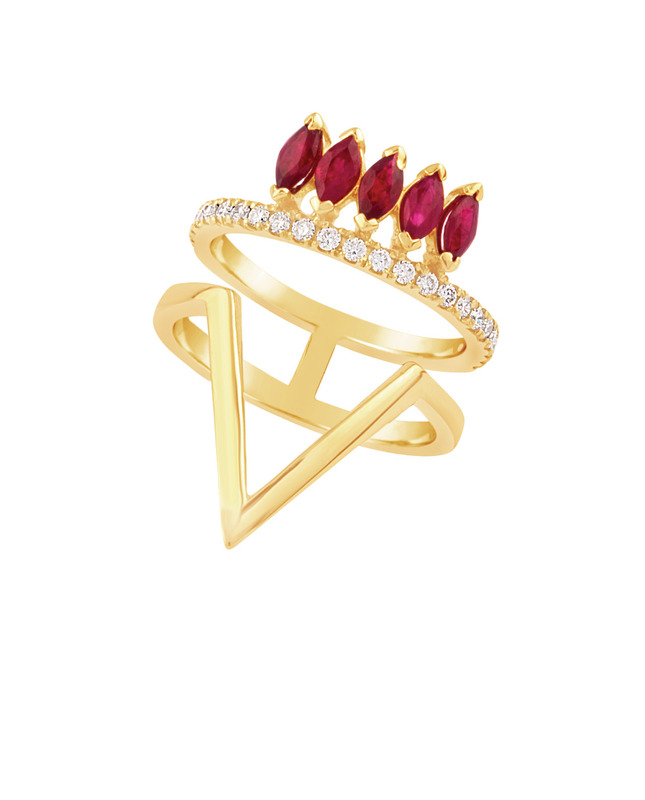 Entirely handmade, this ring from The Tribe collection will reveal your inner fire.